I have been an avid fan of the HITMAN™ franchise since Hitman: Codename 47; which was released 18 years ago; 18 years to the day in fact (at the time of writing this at least). Back then it was groundbreaking — gameplay was quite different from anything we had experienced up until that point — and the graphics were phenomenal for the time. I always remember salivating over the Voodoo 5 5500 — available in AGP or PCI — which was the last and most powerful graphics card from 3dfx Interactive. It was allegedly the best way to experience the original game; not necessarily performance wise, but as far as visual quality was concerned. Back then the minimum system requirements were a Pentium II teamed up with 64MB of RAM, whereas the recommended specs where a Pentium III with a whopping 128MB of RAM. Out of all the HITMAN™ games, Hitman 2: Silent Assassin was by far my favourite of the series, with Hitman: Absolution probably not that far behind it. I had played through every single game of the franchise, some on PC and some on console, except for Hitman (2016). Whilst I cannot quite pinpoint why I never got around to playing the ‘new’ Hitman, likely due to my limited gaming time being predominantly taken up by multiplayer games, it has sat idly within my Steam library for quite some time. Frankly, I think the fact that I had never played the predecessor made me enjoy Hitman 2 that much more. Let me try to explain why. The version of Hitman 2 I received for my Xbox One X was the Gold Edition. This particular version includes the Expansion Pass, which provides access to the 2 upcoming expansions (release TBD); and the Executive Pack, which includes an ICA 19 Blackballer pistol and Italian black leather briefcase to use in-game. If you had pre-ordered the Gold Edition, you would have also been able to play the game four days prior to release. It is worth noting that unlike its predecessor, you have immediate access to all of the locations; no waiting around for the next episode this time. 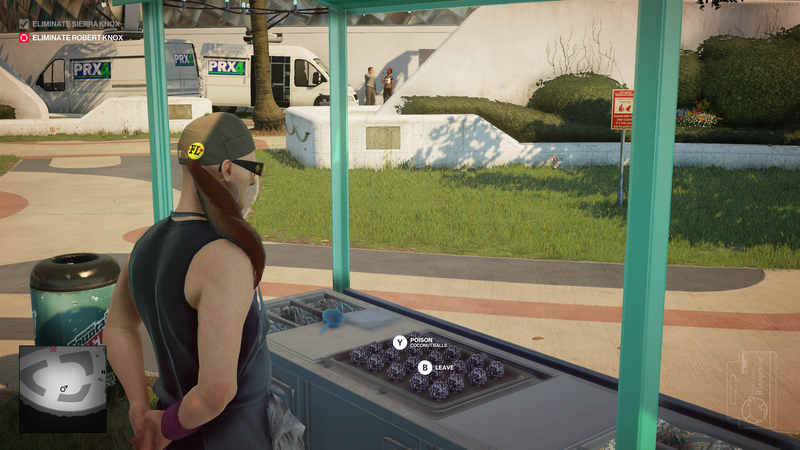 Speaking of its predecessor, this is where Hitman 2 gets interesting. Now of course this is a review of Hitman 2, so I will not delve into the story of the original; for that I would point you towards Jacob’s review of Hitman: Definitive Edition. But I will say this, being presented with the above-pictured option to play the story from the beginning was fantastic; and of course perfect for someone like me. 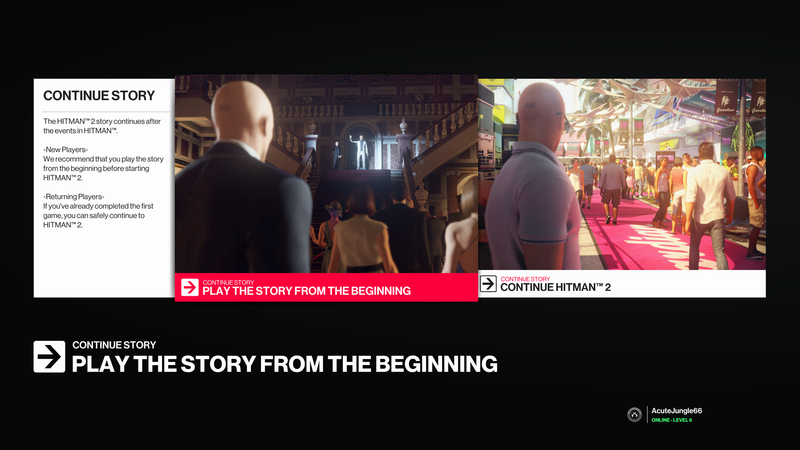 So that is exactly what I did: I played through the Prologue, then through the campaign of Hitman, and finally played Hitman 2 (the game I was supposed to be reviewing in the first place). I have not got around to fully playing through the Patient Zero campaign yet, but most certainly will dive into it sometime soon. Whilst this resulted in a fantastic weekend of gaming for myself — I crammed in 30 hours of playtime — I realise that playing both campaigns is a double-edged sword for this review. On one hand, I really wanted to be up-to-speed with the story as well as be able to compare their respective campaigns; but on the other hand, I would not necessarily be viewing this sequel through the same lens as a player that had bought the previous game 2 years ago most likely would. Especially since I experienced the improvements and enhancements from the get-go. So if you will indulge me, I will describe my opinions of Hitman 2 and the experiences that I had; but I will also try my best to speculate on how I imagine gamers that had played the previous game will likely feel about it along the way as well. They say that beauty is in the eye of the beholder, but let us be honest, HITMAN™ games have always looked fantastic. Whilst the vast majority of games these days tend to utilise a game engine from someone else (Unreal, Unity, CryEngine), IO Interactive have always used their own in-house Glacier Engine for these games. The original engine dates all the way back to Hitman: Codename 47, and has went through many changes over the years. 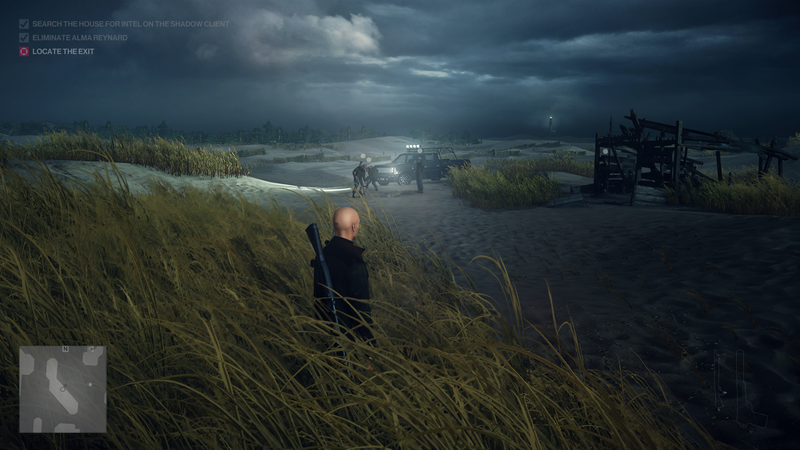 It was not until 2012 that Glacier Engine II debuted for Hitman: Absolution, with the goal of being able to display up to 1200 non-player characters on-screen at one time. I’m fairly sure I came close to that number during the mission set in Mumbai. The difference in visual quality between the PC and console versions has always been considerably noticeable, but I have to say that Hitman 2 looks fantastic on my Xbox One X; even so I was only using a 1080p display during my entire playthrough. I can only imagine how the game must look on a 4K panel with HDR turned on. With that being said, I preferred running the game using the ‘high framerate’ option enabled; which guaranteed a steady 60fps. The ‘high quality’ had the options of ‘locked’ or ‘unlocked’ framerates, the former providing a steady 30fps whilst the latter attempted to hit 60fps. I say attempted, because this setting resulted in considerably variable frame-rates. If you happen to have a display that features FreeSync, that may help quite a bit; but regardless, the game still looked fantastic even using the high framerate option and of course was much smoother this way. For those that have played through the previous game, you may not initially see that much of a difference; but believe me, if you look closely you will see that there are quite a few improvements present. 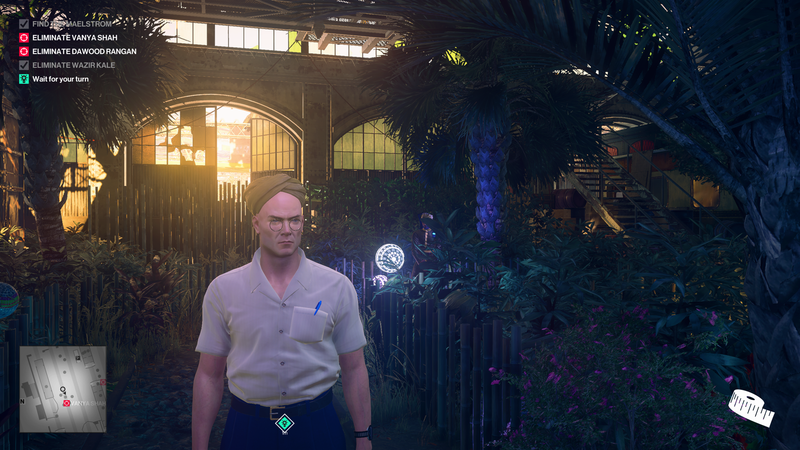 Hitman 2 features thick foliage for example, which in addition to looking great also provides Agent 47 with usable cover. It is a welcome addition to the game in my opinion, allowing for a great place to hide if you find yourself in a bind and there are no closets or storage containers nearby to crawl into. One of the biggest improvements though is the implementation of fully animated reflections over a plethora of surfaces. Not only does this look fabulous, it also enables you to use these reflections to your advantage to keep an eye on things; but the downside is that you need to be cognisant of these surfaces, as they can unfortunately cause others to bear witness to your crimes. I have just realised, over 1300 words into this review and I just assumed that you must surely know what Hitman 2 is about. I just take it for granted that all gamers are aware of the HITMAN™ franchise, as in my opinion it has become one of the staples of modern gaming; much like Assassin’s Creed, Half-Life, or Grand Theft Auto. Even if you do not like those games, chances are you know the crux of them or have heard of them at least; but just in case, let me break it down for you. 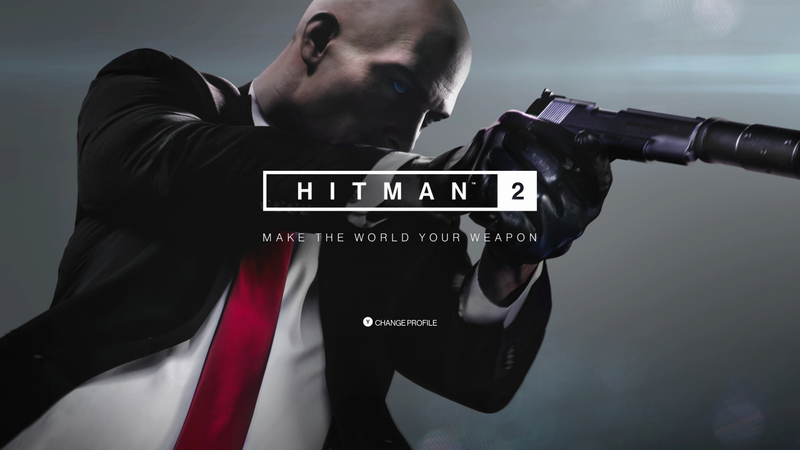 The protagonist of Hitman 2 is Agent 47, a very well-dressed and extremely bald professional killer that has a history shrouded in mystery as well as a barcode on the back of his head (obviously). You assume control of Agent 47 and try to kill people; or perhaps that is too much of an oversimplification. Rather you are tasked with killing specific people by any means necessary, whilst trying not to kill innocent bystanders along the way. You could attempt to tackle a mission as if this was a FPS, but your results will most likely not be that great. 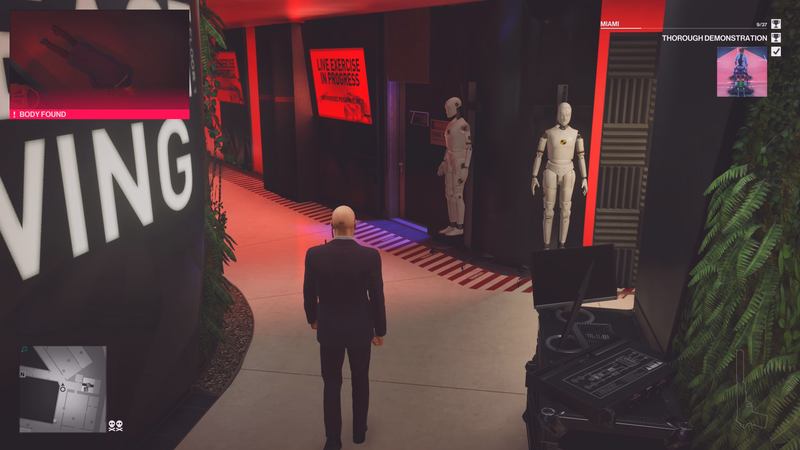 Hitman 2 is all about exploring the massive environments, learning what you can by watching people and watching for patterns that develop, and then using that knowledge to eliminate your targets without drawing any suspicion on yourself. Whilst this does sound quite violent and dark, almost like a sociopath simulator, the franchise has always been an absolute blast to play. Don’t try to psychoanalyse yourself too much, if you find yourself laughing at some of the situations within the game it does not mean that you are a sick person; it is just a video game after all. 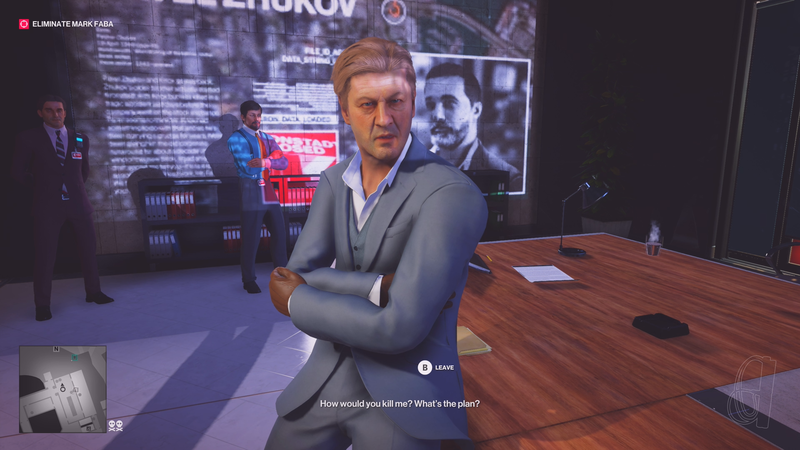 Plus, the first Elusive Target — which is available now for a limited time — is Sean Bean; surely everyone can appreciate how much fun it would be to take him out right? And I do not mean take him out on a date of course. I was honestly blown away at how large each mission area was, with each being crammed full of gadgets and disguises at my disposal. This is where I realise that players of the previous game may not actually be that blown away, as I would not necessarily say that the areas in Hitman 2 are significantly larger than those of Hitman. Likewise, there are not that many new weapons. With that being said, I very rarely relied on weapons outside of my good old trusty fiber wire, but there were however plenty of unique and inventive ways of eliminating targets during your adventures. One of the most memorable ones for example was disguising myself as a member of the pit-crew during a racing event set in Miami. One of my targets just so happened to be driving one of the race cars, and eventually needed to make a pit stop for some new rubber. In a horrible stroke of bad luck, one of the wheels must not have been secured properly; resulting in her vehicle losing control, flipping several times, and subsequently turning into a ball of flames. These are the types of assassinations that are exponentially more rewarding than just sneaking up behind someone and choking them to death, and they also result in a considerable amount of replayability within the game. Whether you agreed with the episodic nature of the first game or not, the reasoning behind the style was to encourage players to fully experience each and every mission repeatedly. Within each stage, there are so many different ways to tackle each target, which are conveniently packaged within ‘Mission Stories’. These were previously known as ‘Opportunities’ and serve as a mechanic to guide you in taking certain directions in order to carry out your contract. I honestly find myself relatively conflicted with this specific feature. Whilst they provide some quirky little side-stories, enabling you to learn a little bit more about your targets, I also found that they resulted in making the game significantly easier. You of course do not have to to follow the Mission Stories, and could try to discover your own unique ways to eliminate the targets; but at some point you will find yourself wanting to complete them, especially if you want to try to complete all of the challenges in order to unlock everything that is available within the game. 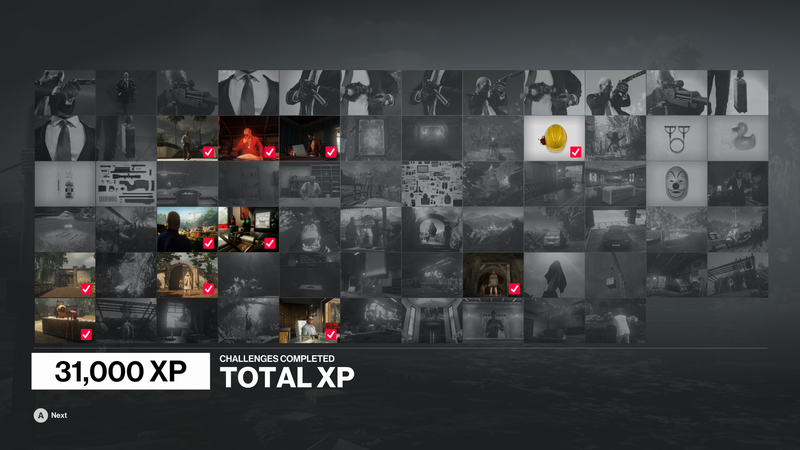 Much like it’s predecessor, Hitman 2 features challenges that earn you XP on a level-to-level basis. It is impossible to complete each and every challenge on a single run, instead it encourages repeated play-throughs; especially if you wish to unlock additional starting locations/weapons/costumes to aid your attempts to climb the leaderboards. For me personally, I did not find myself too worried about the challenges, but I did try to play through all of the Mission Stories as I enjoyed the additional narratives. I also soon discovered that my initial belief that the Mission Stories made things easier was not always the case. Some of the specific assassinations, or situations you have to create are extremely difficult to pull off, and I found myself reloading my auto-saves several times trying to accomplish some of them. If you are familiar with the gameplay mechanics though, and are of course a fan of the previous game, then you will most likely welcome these new challenges. Each stage rewards stealth and patience, requiring you to pay attention to the inhabitants of each area and learn their patterns. The Whittleton Creek stage is a perfect example of this, since it is set in stereotypical suburbia with white picket fences to vault over and back-yard barbecues to sneak into. You will soon find yourself keeping an eye on the joggers that run around the block, as well as various other inhabitants such as local residents and construction workers; almost like some kind of creepy neighborhood-watch guy, the game certainly rewards voyeuristic tendencies. Hitman 2 or Hitman: Season 2? If I try my best to put my ‘previous player’ hat on, I imagine that all but the most die-hard of fans will likely believe that Hitman 2 feels more like a continuation of Hitman; rather than a fully fledged sequel. I say this, because despite some of the improvements and additions to the game, the gameplay itself (in terms of mechanics) is practically a carbon copy of its predecessor. Now this is not necessarily a bad thing at all, and for someone such as myself that was sitting down to the original campaign for the first time — albeit with the improvements such as the PiP feature pictured below and the ability to blend into crowds — it made the game much more accessible; resulting in a relatively no-fuss transition from one campaign to the other, as well as continuing on with the story that Hitman had previously laid out. 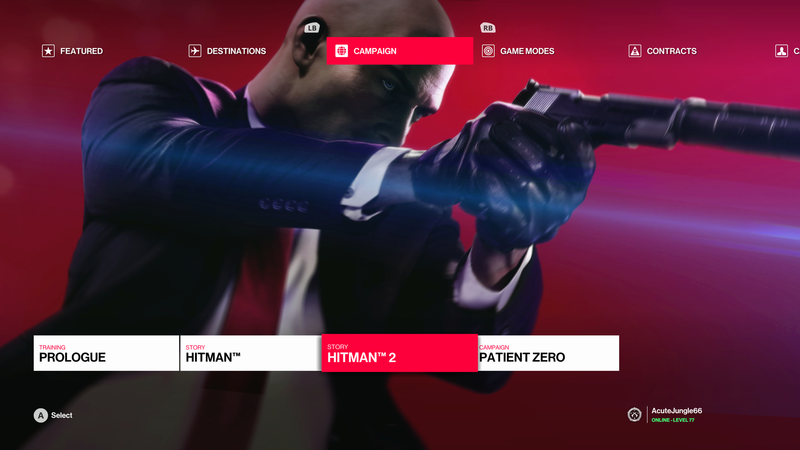 But I reckon many returning players will feel that it is more like Hitman 1.5 or even ‘Season 2’ of Hitman; and if it weren’t for the slight changes to the engine, there is probably a decent argument for the campaign to be released as an expansion rather than a full-retail standalone product. But when you factor in all of the content the game contains: 6 different sandbox levels, a 7th stage for Sniper Mode, Contract Mode, Elusive Targets, and of course the debut of Ghost Mode (online multiplayer in which the first to 5 unnoticed assassinations wins); it all adds up to a decent release in my mind. Considering in the inclusion of the original game’s levels as well, I cannot help but feel that is justifies being sold as a new product rather than a continuation. We also do not know what the expansions are going to be like, as they are advertised as new locations rather than just new missions. 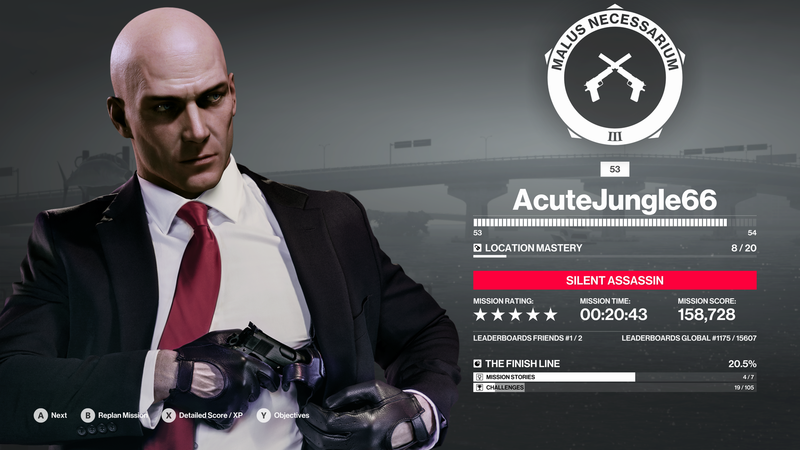 Factoring in the elusive targets and future Escalation Contracts, Contracts created by the community and of course the unknown direction that Ghost Mode will take, it makes it even more difficult to fully judge Hitman 2 as it currently stands; as we have plenty more content coming our way in the future. You have to keep in mind as well, that this is the 7th game of the series; a series which has stretched almost 20 years. Just being able to somewhat reinvent the franchise and breathe some fresh air into the games in recent years is a quite a triumph in itself, especially when compared to other franchises which are becoming a little too predictable. 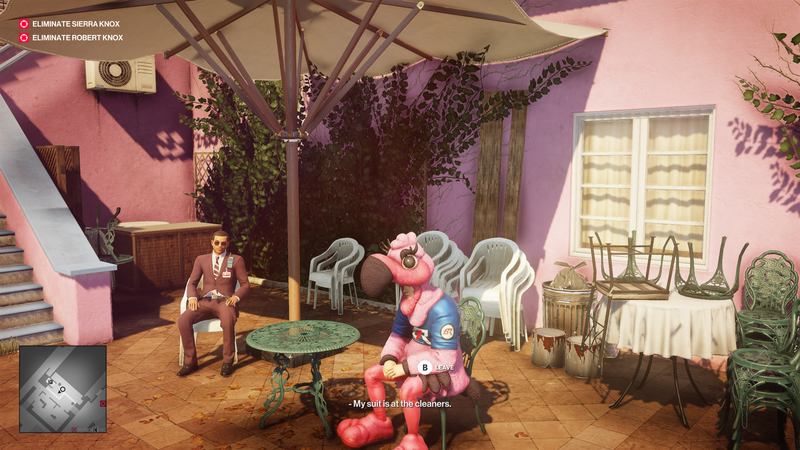 At the end of the day, Hitman 2 is plenty of fun and whilst the subject matter is dark and potentially disturbing if you choose to view it that way; it never takes itself too seriously, and provides plenty of comic relief throughout. I have to say though, I am somewhat baffled at the choice of release date for Hitman 2, and cannot help but feel that sales will not be that phenomenal initially. Considering which games have released in October as well as November, I think that Hitman 2 should have either been released much earlier or pushed back to December or even January. As it stands, many gamers may overlook this fabulous title in favour of other AAA games that released recently and received more advertisement time. But with that being said, if you have been a fan of the HITMAN™ franchise for even less than half as long as I have, then Hitman 2 is an absolute must-buy. At the beginning of this review I proclaimed that Hitman 2: Silent Assassin was my favourite installment in the franchise, and prior to the release of this game I always just referred to it as Hitman 2. Well that statement still sort of holds true, as Hitman 2 is my new favourite of the series. If you have somehow never played any of the HITMAN™ games, which admittedly is a relatively niche type of game, then this one would be an excellent introduction to the series; and I would highly recommend picking up the Legacy Pack for the full experience. At the end of the day, whilst Hitman 2 appears to be effectively about murdering people, it is so much more than that. It is a stealth game at its core, with heavy emphasis on solving puzzles and devising unorthodox solutions to a myriad of problems; albeit with the goal of murdering people. But they are bad people after all, so you can take a little bit of comfort in that. And in what other environment is it completely acceptable to poison your coconut balls? 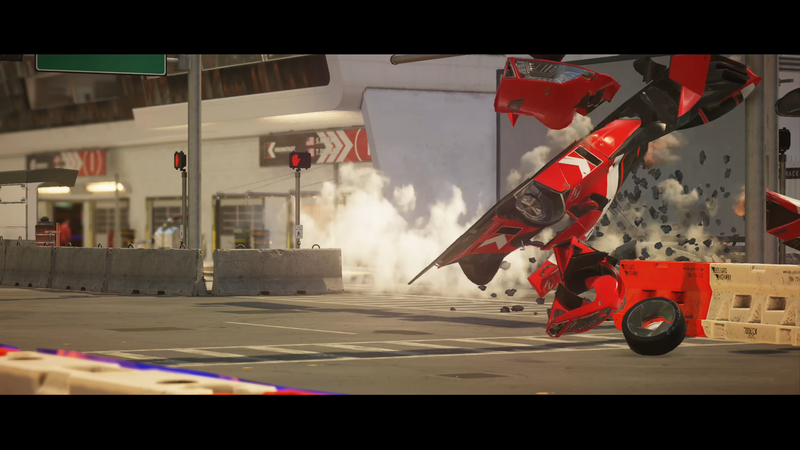 Hitman 2 is the best of the HITMAN™ franchise yet. Don’t let this one slip by you this holiday season, as IO Interactive absolutely killed it.